Alistair Moffat of the Tapestry Trustees added: “The Great Tapestry of Scotland is an object not only of great beauty and power, it will also act as an engine for renewal. More information on VisitScotland Expo is available at www.visitscotlandexpo.com. 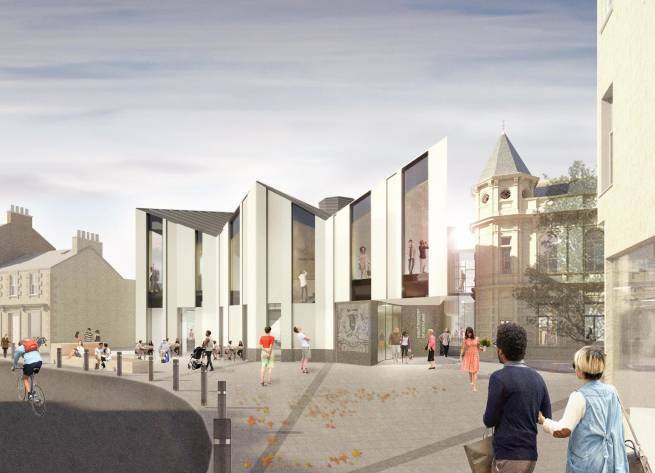 • The Great Tapestry of Scotland visitor centre will be the catalyst for a wider masterplan to re-shape the town and encourage investment in Galashiels and the wider Borders economy. • It is predicted to attract over 50,000 people to Galashiels each year once opened, as well as creating 16 posts at the facility. In addition, almost £900,000 of extra spending per year is predicted for the local economy, providing 12,000 extra visits to complementary attractions, supporting a further 17 jobs. • More information on the Coulter’s Candy sculpture is available here. • The regeneration of Galashiels has the support of the Scottish Government through the Borders Railway Blueprint programme, as well as community groups such as Energise Galashiels Trust.